Barcelona vs Valencia predictions for this Saturday’s game in La Liga as two sides who progressed in the cup in midweek meet. Read on for our free betting tips and predictions. This Saturday’s clash sees two sides who mounted dramatic cup comebacks in midweek battle. 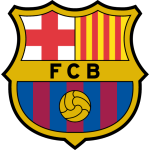 Valencia travel to Camp Nou with a renewed sense of belief after some much improved recent displays and they will fancy they can ask a few questions of Barcelona here. The Catalans though know they would move 8 points clear at the top with a win, which would pile the pressure on 2nd placed Atleti ahead of their tough game this Sunday. Barca were 6-1 winners over Sevilla on Wednesday in the Copa del Rey to overturn a 2-0 1st Leg deficit. They named a strong side to try and turn the tie around and did just that, with Philippe Coutinho netting twice, a big boost to his confidence levels after some very poor recent displays. They are now back on track for yet another domestic double and certainly in La Liga it’s hard to see anyone stopping them. Valencia will provide a genuine test here though. Los Che also staged a dramatic cup comeback, with Rodrigo scoring twice in Stoppage Time to complete his hat-trick and a remarkable 3-2 win over Getafe, who were 2-0 up on aggregate with an away goal in the bag heading into the Second Half. 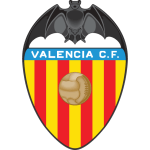 A bad-tempered match ended with 3 players sent off but Valencia now have fresh reason to believe they are very much getting back to last season’s levels. Marcelino’s side are suddenly scoring goals again and have only failed to net in 1 of their last 13 matches. 9 of those games saw both teams score and the return to form of Rodrigo Moreno is key to their hopes. He was brilliant last term with 16 league goals but has struggled to hit those heights. However he comes into this having finally found form again with 5 goals in his last 4 games and his pace should cause problems here, so backing Rodrigo to Score Anytime appeals. Barca are missing Sergio Busquets to suspension. That is significant, in that he’s the one player who they don’t really have a natural replacement for. Ivan Rakitic is likely to drop into the holding role but the home defence could be more vulnerable as a result and they are less likely to exert control in midfield without Busquets. 64% of Barca’s home league games this term have produced goals at each end so their opponents have been creating chances at Camp Nou and against a revitalised Valencia side, backing Over 2.5 Goals & Both Teams to Score could be the way to go. Valencia have only won one of their last nine games against Barcelona in LaLiga (D3 L5), however this win was at the Camp Nou in April 2016. Barcelona have scored the joint-most goals of any team versus Valencia in LaLiga history (314). Barcelona have lost only one of their last 47 league games at the Camp Nou (W38 D8) – 3-4 against Real Betis in November 2018. Valencia have won their last two games in LaLiga, after winning just one of their previous six (D3 L2). Barcelona are the only team yet to drop any points due to goals conceded in the last 15 minutes of games in LaLiga this term. Valencia’s Dani Parejo has been involved in five goals in his last seven games in LaLiga (three goals and two assists). Barcelona’s Leo Messi has faced Valencia on 25 occasions in LaLiga (joint-high with Atlético de Madrid), and has been involved in 32 goals versus the Valencian team (22 goals and 10 assists); more than against any other opponent. Barcelona’s ​​Luis Suárez has been involved in six goals in his last eight games against Valencia in LaLiga (five goals and one assist). Barcelona manager Ernesto Valverde ​​is unbeaten against Valencia in nine home games against them in LaLiga (W4 D5). Valencia manager Marcelino Garcia Toral is winless in his 19 games against Barcelona in all competitions (D5 L14).